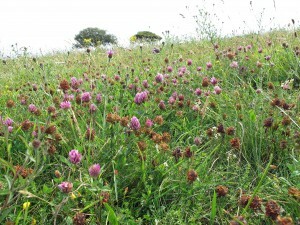 Do you remember walking through the fields as a child surrounded by red clover? I do, but it is fairly rare to see extensive patches of red clover in fields now, due to intensive farming methods and weed killers. So I am always pleased to see it growing in large amounts anywhere. 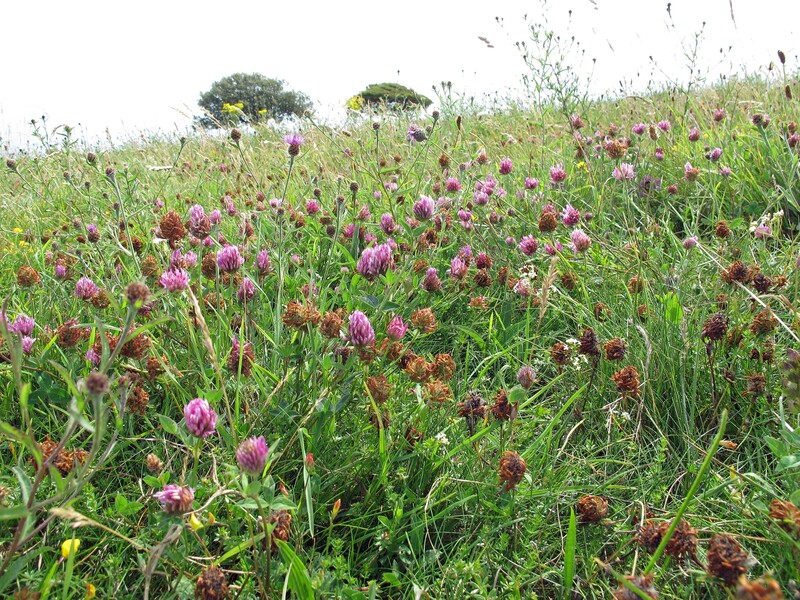 As a result of the fairly recent approach to managing public land, such as the Downs, by rotating cattle on them to crop the pasture and let plants seed naturally, there is a lot of it growing on the South Downs. Red clover is another herb which has alterative properties, meaning it helps the organs and systems in the body to balance themselves and function properly. It has anti inflammatory actions and is a wonderful Lymphatic system cleanser. It is also said to have anti neoplastic properties (anti cancer). I used to go through buckets loads of red clover tincture when we lived in Slough in Berkshire, as the incidence of childhood Eczema in Slough is very high and along with Heartsease it is always an essential ingredient in any mixture I make up to help clear Eczema. Eastbourne, where we currently live, has an older population and I have not treated as much Eczema. I still use the tincture in all mixtures for conditions requiring any lymphatic cleansing or skin cleansing action. The root is used which contains tannin, mucilage and inulin as well as iron, sulphur and B Vitamins. 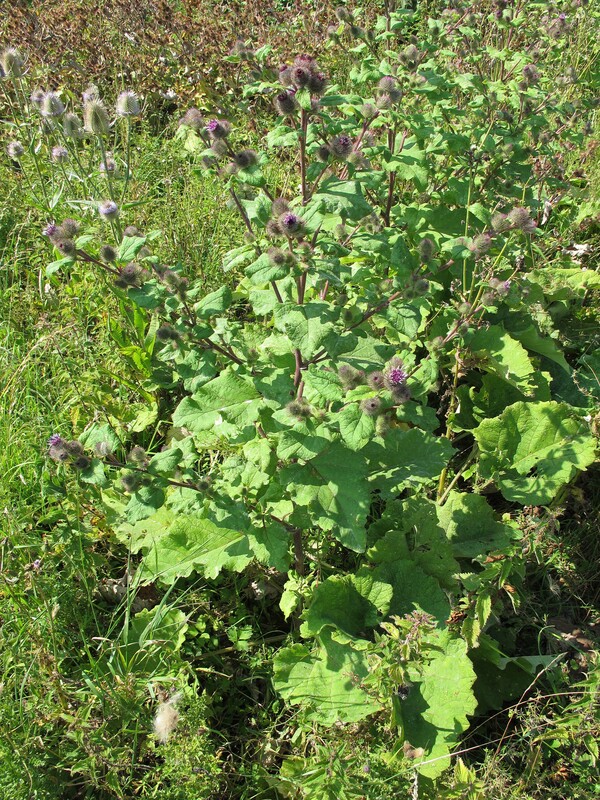 This is another one of those weeds that robs the earth of all the minerals and so is a nutritive, blood tonic as well as having digestive system and liver cleansing properties. 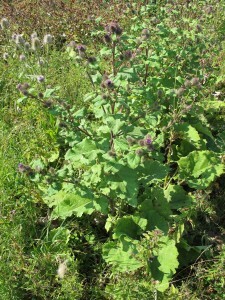 As it is a bitter herb, it stimulates digestion preventing the build up of toxins in the gut which may then get absorbed and cause problems in other areas of the body. In clinic I use it as my number one digestion and liver supporting herb for all conditions requiring a cleansing action, such as arthritis, rheumatism, eczema, psoriasis and acne. It is gentle, reliable and effective. And yes it is that annoying plant with burrs as seed heads that stick to your clothes and the dog if you brush against them………we can’t all be perfect!